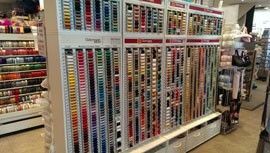 The Fabric Shop stock a vast and varied range of materials for all your haberdashery and craft requirements. We carry the largest range of haberdashery in Sussex. 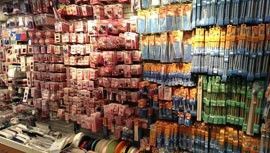 Our needle Craft department carries a full range of Anchor tapestry wools and embroidery threads. A large range of kits and embroidery fabrics for all your needs are available in all our stores. Our paper craft department carries a vast range of blank cards along with peel offs and accessories. Come and visit your nearest Fabric Shop store to see our latest range of kits for beginners to experts. You can call us for free by using the number above or send us any questions via the form on our contact page.